Why do I always feel like making sheet cakes in the summer? Maybe it’s the heat? Or the potlucks? Or just because chocolate sheet cakes are so flipping good? When I was a kid, as you know, we traveled around in an RV for two weeks every summer. We would drive for 2 weeks in a big circle, starting from San Francisco. Because of those trips I’ve seen all of the states until you hit Colorado. It’s also why I hate camping, but whatevs. I got to see a lot! When I was 15 we went back east to Washington DC, then drove to Boston, so I’ve seen a few parts of the northern southern states. (Is DC considered the south or the east? I don’t even know.) The only place I haven’t seen in the U.S. that I really want to see is the south. Florida, Georgia, the Carolinas, Louisiana, Kentucky…I really hope I have a chance to eat my way through all of those states some day. Because you know that the reason I travel is for food. The food of an area is the soul of that area, don’t you think? Crab in San Francisco, cheese in Oregon, BBQ in Texas, macadamia nuts in Hawaii. I associate food with places. Instead of souvenirs, I buy pastries. Since I’ve never really been to the south (unless you count Miami but it was such a whirlwind I don’t), whatever I know about southern food comes from the internet and TV. When I think of a good old southern dessert, I think of red velvet, cobbler, peach pie, and Coca-Cola Sheet Cake. I’ve been wanting to make a sheet cake F.O.R.E.V.E.R. but just haven’t. So when Ovation TV emailed and asked if I’d post a southern dessert to announce the new show Southern Uncovered, I jumped at the chance. As if I needed a reason to make a decadent chocolate sheet cake filled with my favorite soda. Pffft. Their newest show, Southern Uncovered with the Lee Brothers, Matt and Ted (the Lee Brothers) explore different cities in the south to uncover the unique and unexpected sides of southern cuisine. They introduce us to people, food, and culture that define the south. Their list of cities are all ones I hope to visit one day: Charleston, Atlanta, Dallas, New Orleans, Asheville, and Louisville. I wonder if they’ll taste a sheet cake filled with cola? It would be a shame if they missed out on this one. You guys, this cake rocked my socks off. 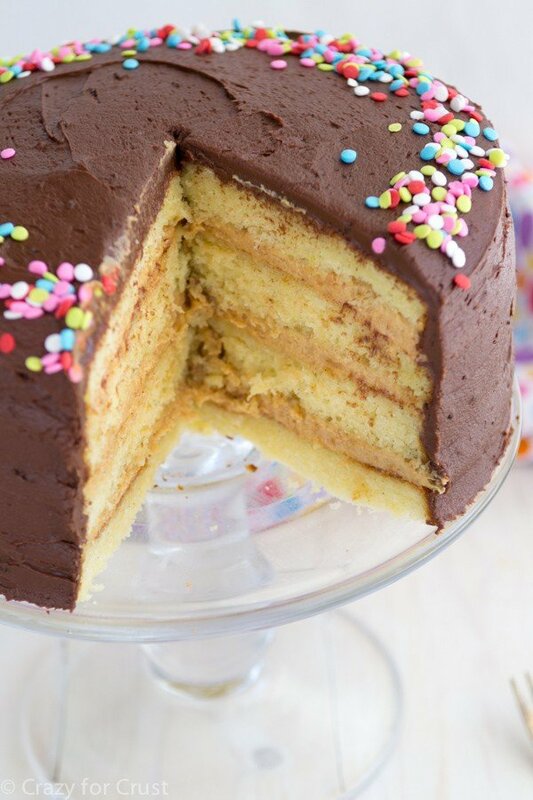 This cake is SO easy to make. Really, it is. And, it’s egg-free! That’s right, no eggs at all. The buttermilk, baking soda, and soda bubbles give the cake what it needs to rise. The soda doesn’t add much in the way of flavor to the cake, but it acts the leavening and keeps it so moist! I’ve been wanting to try my hand at a soda cake forever, but I didn’t really want to use a box mix. I kind of felt like making a from-scratch sheet cake. I decided to adapt my favorite chocolate cupcake recipe and turn it into this cake. I’d used that cake recipe to make a layer cake before, so I knew it would work, but I had to scale it down to fit in my sheet pan. 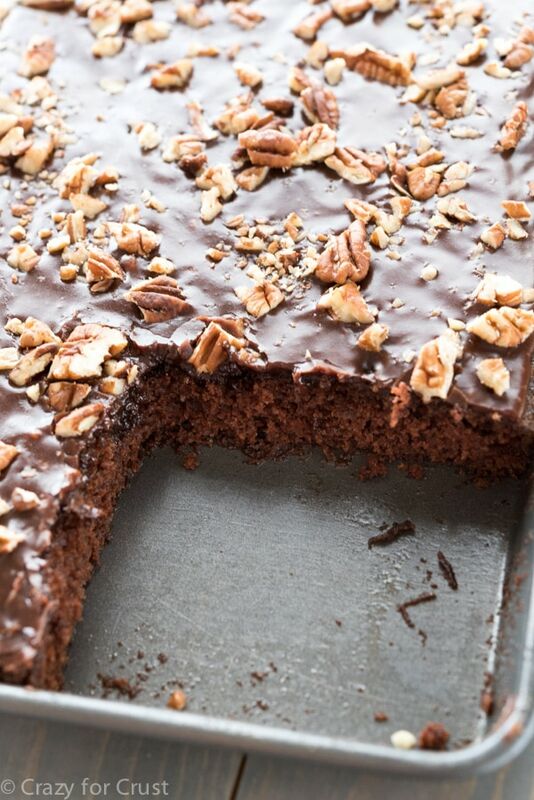 A sheet cake is baked in a sheet pan, which is a 10x15x1 inch pan. It’s the same pan you make jelly/cake roll cakes in. You simply mix up the dry ingredients then whisk in the wet, no mixer needed. I just whisked it all together and poured it into the pan. Once the cake is baked, you make the frosting. The frosting is the BEST PART. Oh my gosh, you guys. I love a cooked frosting because it stays gooey and fabulous. 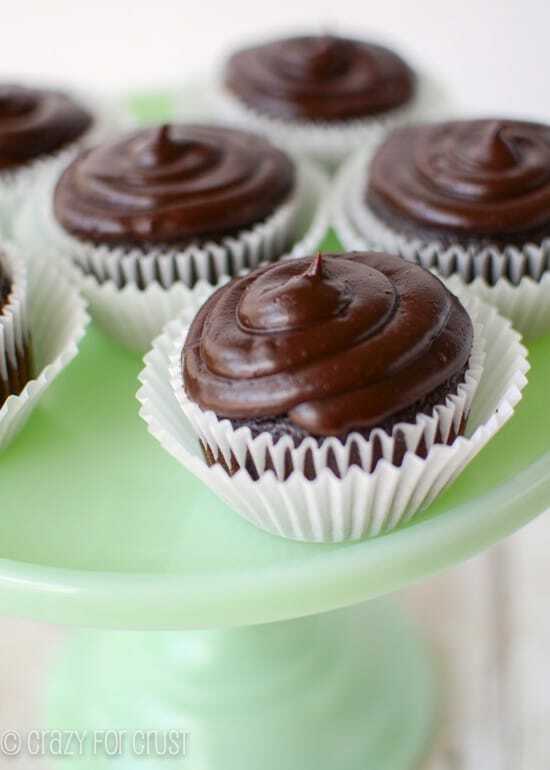 It’s way better than a traditional buttercream. You bring the butter, cocoa, and soda to a boil, then you stir in the remaining ingredients and pour it over the just baked hot cake. Once the cake cools the frosting gets a little shell but stays gooey underneath. 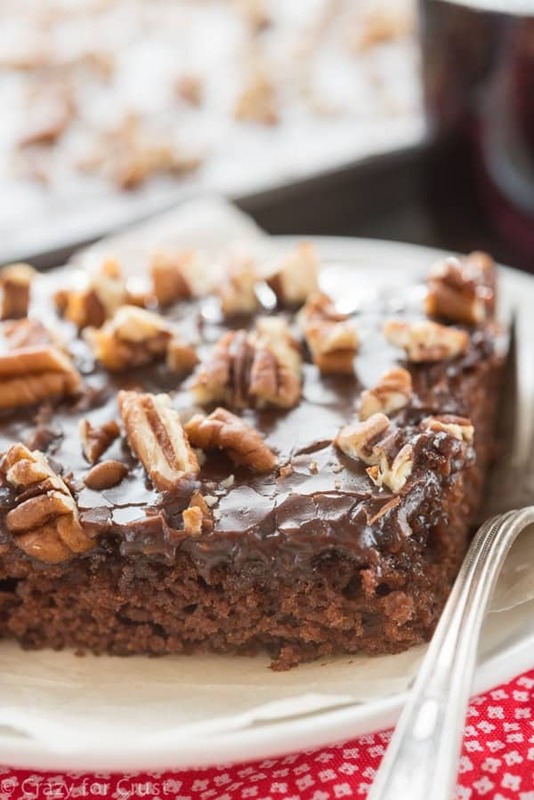 This Cola Sheet Cake is super chocolatey and feeds a crowd! It's an easy recipe and is egg free! Preheat oven to 350°F. Spray a 10x15 sheet cake pan with cooking spray (I like the kind with flour). Whisk flour, sugar, cocoa, baking soda, salt, and coffee granules in a large bowl. Set aside. Whisk oil, cola, buttermilk, and vanilla in a measuring cup. Stir wet ingredients into dry and stir until just blended and smooth. Pour batter into prepared pan. Bake for about 15-22 minutes until a toothpick comes out clean 2” from the edge of the pan. The cake will somewhat spring back when touched. As soon as the cake comes out of the oven, make the frosting. Heat the butter, cocoa, cola, and coffee granules in a small saucepan until it boils and the butter is melted. Remove from heat and stir in vanilla, salt, and powdered sugar. Pour evenly and carefully over cake, spreading as needed. Sprinkle with chopped nuts. Cool completely before serving. Store loosely covered on counter or in refrigerator for up to 3 days. Be sure to check out Southern Uncovered with the #LeeBros on @ovationtv, Sundays at 8/7c! This post is sponsored by OvationTV. All opinions are 100% my own. I will gladly take you on a food tour all over South Florida if you come visit here!!! Whoa baby that cake looks so good! Make sure you stop in Birmingham, AL on your Southern food tour. Best kept food secrets in the South! Woo hoo! I love that it’s egg-free and easy to adapt to my allergies. 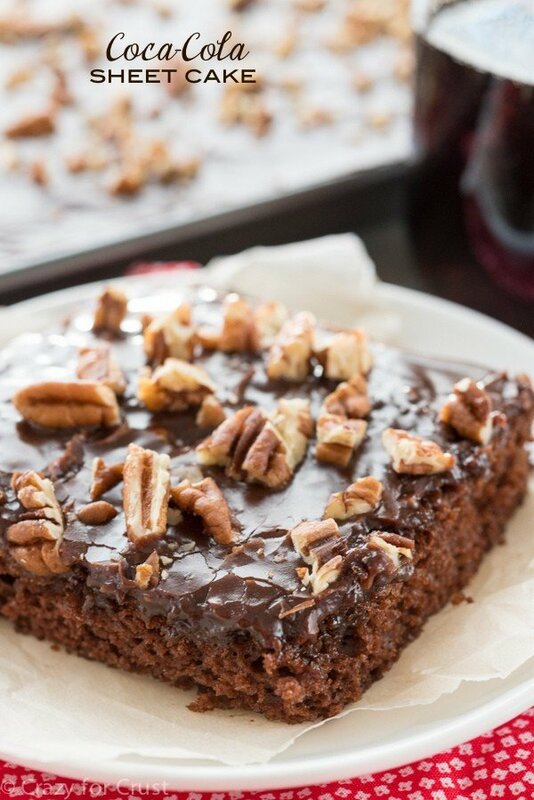 I love a good sheet cake, and I’m sure the Coke flavor is amazing! It is, thank you Wendy! Thank you so much for posting this recipe! I am gluten free so I had to make a few minor adjustments but this cake was still quick, easy and delicious. I accidentally doubled the frosting so I quickly poked some holes and turned this into a poke cake and it was amazing! Thanks for always having delicious and easily adaptable recipes! More frosting is always better! 🙂 I’m glad it worked out for you. I’d love to know what GF subs you made! More frosting is definitely always better- especially this one. We saved the extra and put it on everything! I subbed out the dry ingredients for Betty Crocker Gluten Free Devils food mix. I tried for years to make my own sub with flour blends, but nobody does it better than Betty! It makes a smaller amount of cake so I baked mine in a casserole dish, but you could easily use two boxes to make a full sheet. So true! Sometimes you just need a mix, especially for something so chemical like GF baking! 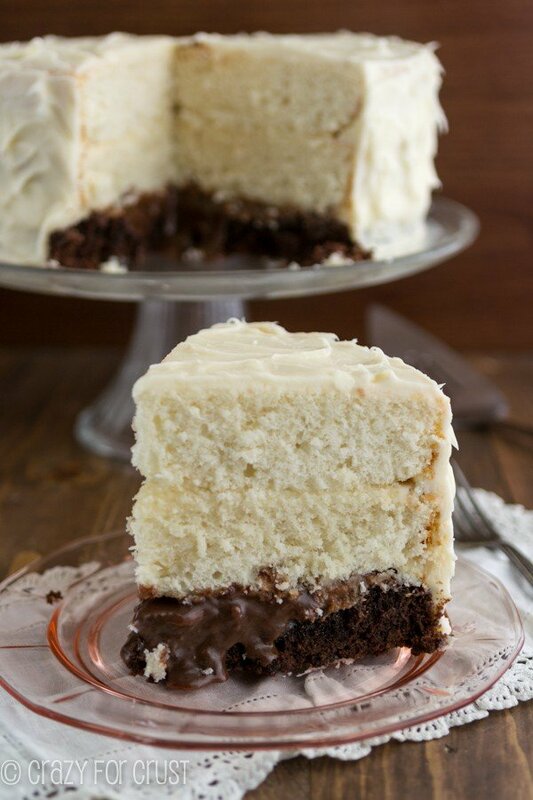 i have this recipe…but mine calls for a cup of mini marshmallows floated on top of the cake before baking. I saw that on some recipes! You can add them if you like. I just wasn’t in the mood for marshmallows! I have made this cake twice and it has come out PERFECT every time. It is so chocolaty and the frosting is delicious. 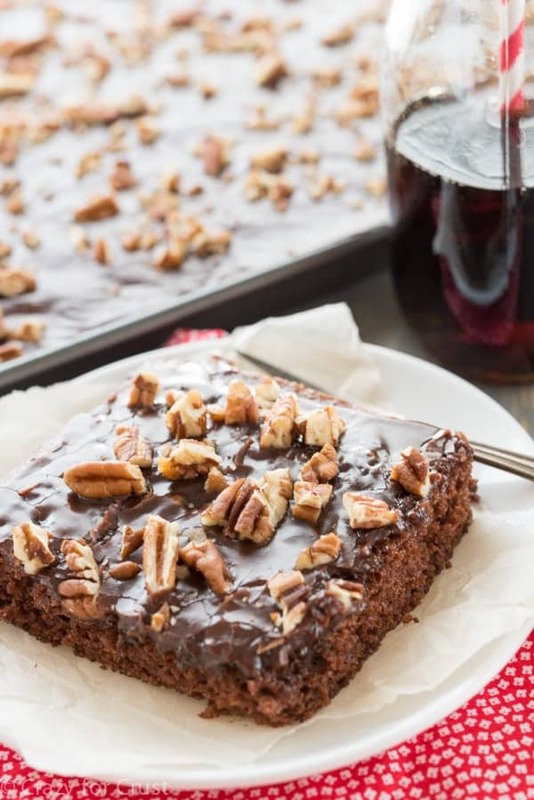 Love the Coca-Cola sheet cake recipe, could it also be made with a substitute for the buttermilk? (Could you suggest anything) as my daughter is Vegan.